Today the Green Rosella was back visiting. However she had friends in tow. I struggled to get them sitting in the tree (there were three of them), but managed this in flight image, which I like. 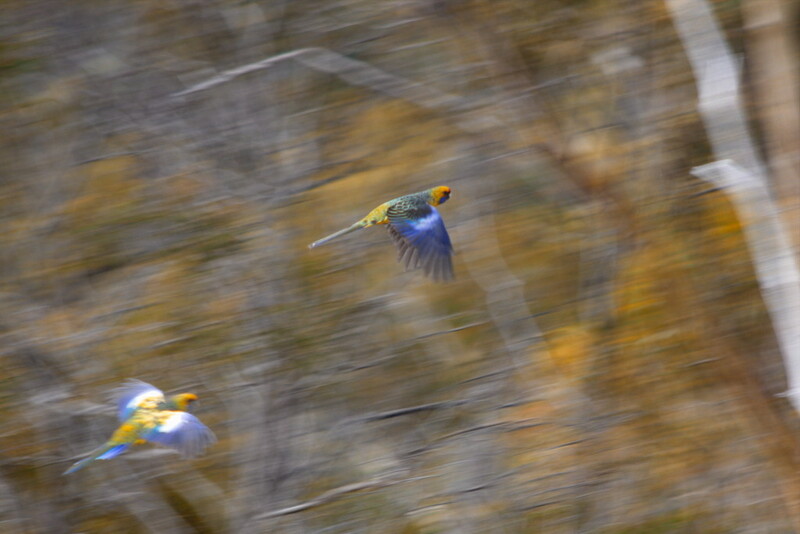 Great motion shot of these pretty birds!